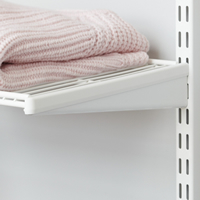 Our neat new elfa media rack is available in classic elfa white or with a platinum finish. 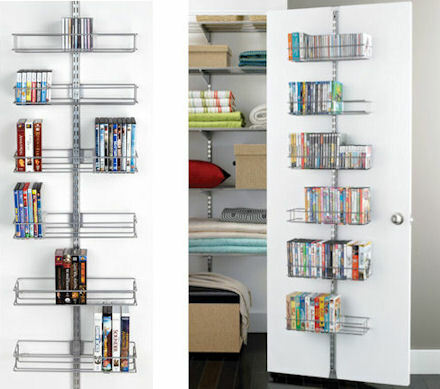 Whether you're storing CDs, DVDs or even Video tapes, this modular unit stores them all and can be easily unclipped and moved up and down your elfa wall bars as space allows. 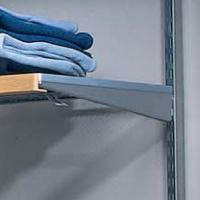 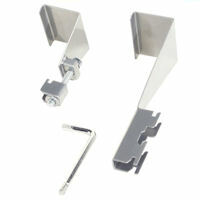 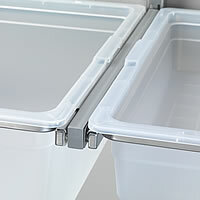 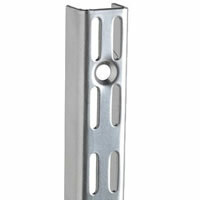 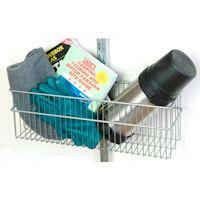 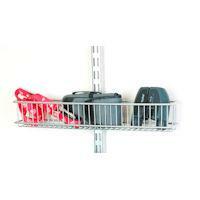 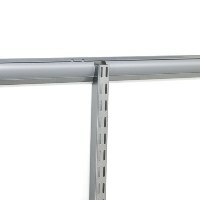 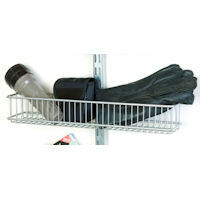 Each media storage unit simply clips to a traditional twin-slot elfa upright or our more modern hanging wall bars. 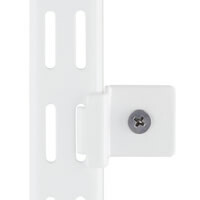 Screw the twin-slot wall upright to a wall, on the back of a cupboard or wardrobe door or it can also be used (as shown) with our neat over-door mounting kit. 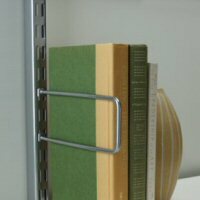 See below links for details of additional elfa component requirements to create your own modular and bespoke CD /DVD storage rack.